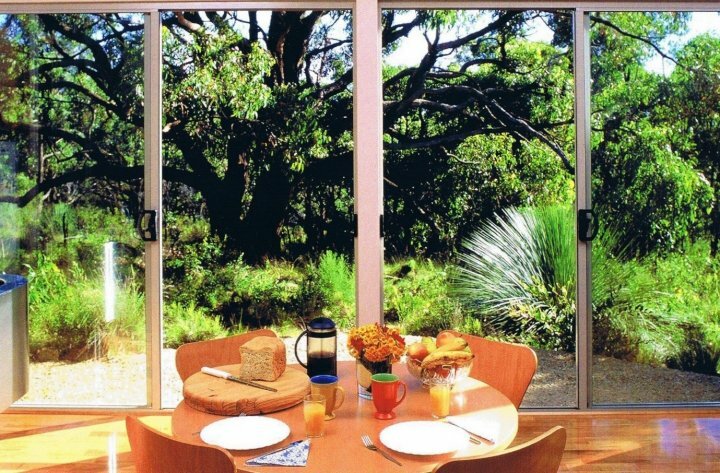 Southern Ocean Retreats offers you a choice of self-contained accommodation at different locations in Deep Creek Conservation Park, one of the most scenic and unspoiled places to visit on the Fleurieu Peninsula just 90 minutes south of Adelaide. Our properties range from a simple cottage such as Glenburn for families on a budget, the iconic Goondooloo Cottage with its 'tree trunk' lounge room, or the spacious Deep Creek Homestead in its own secluded valley, to the award winning contemporary Ridgetop Retreats. Popular activities include one of the many walks graded from easy through to hard (including the famous Heysen Trail), sightseeing, photography, surfing, swimming, fishing, mountain bike riding, seeing the abundant wildlife at close range and above all, relaxing. The hustle and bustle of everyday life is very easy to forget in this most alluring of settings. The Homestead is a rare offering for larger groups wanting spacious self-catering accommodation of a high standard in the very private and natural setting of Deep Creek Conservation Park. Its inviting décor with polished jarrah floors and beautiful surrounds sets the scene for a memorable time with family and friends. From a choice of balconies overlook the nearby Tapanappa Creek as it meanders towards the Southern Ocean. The spacious floor plan includes 4 bedrooms comprising a master bedroom with en-suite, a double bedroom and 2 twin share single bedrooms as well as a main bathroom. The central hallway leads to a formal lounge room with wood heater and a large open kitchen dining area. There are also 2 balconies with outdoor dining furniture and a tennis court. 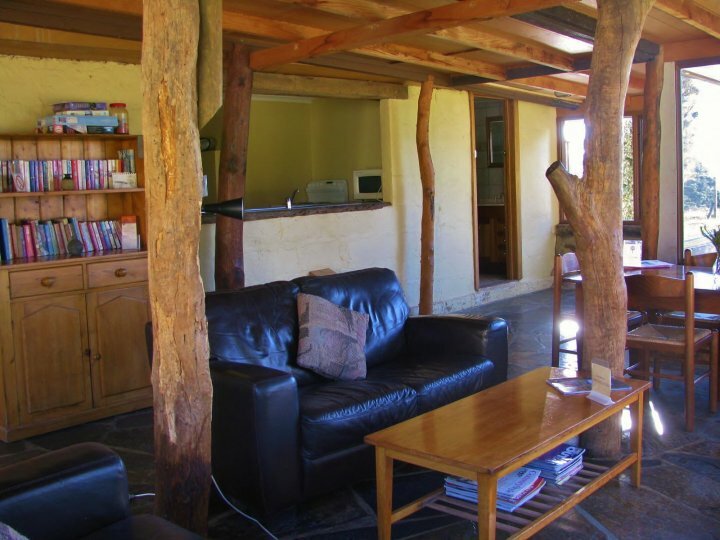 The Deep Creek Homestead comes with all linen provide and can sleep up to 8 guests. It is conveniently located to the Tapanappa Lookout, walks to Boat Harbor Beach and Deep Creek Cove as well as nearby Tunkalilla Beach and Ingalala Falls. Glenburn Cottage harks back to the post war years reflecting life's slower pace. It overlooks the nearby Stringybark Forest and the elevated deck provides a wonderful platform from which to observe nearby wildlife at close range. Glenburn Cottage is surprisingly spacious with four bedrooms containing queen, double and single bunk beds that can sleep up to 10 guests. In addition to the fully self-contained kitchen and separate lounge with wood heater there is also a sun room leading to a deck and an outdoor gas bbq under a magnificent Messmate tree. Glenburn Cottage is ideal for large families or groups wanting comfortable budget style accommodation. Its central location in Deep Creek Conservation Park provides a convenient base from which to explore the many attractions in the Park. A great place to introduce overseas family or friends to the wildlife of the Fleurieu Peninsula in its natural setting. Glenburn Cottage harks back to the post war years reflecting lifes slower pace. It overlooks the nearby Stringybark Forest and the elevated deck provides a wonderful platform from which to observe nearby wildlife at close range. Glenburn Cottage is surprisingly spacious with four bedrooms containing queen, double and single bunk beds that can sleep up to 10 guests. In addition to the fully self-contained kitchen and separate lounge with wood heater there is also a sun room leading to a deck and an outdoor gas bbq under a magnificent Messmate tree. Glenburn Cottage is ideal for large families or groups wanting comfortable budget style accommodation. Its central location in Deep Creek Conservation Park provides a convenient base from which to explore the many attractions in the Park. A great place to introduce overseas family or friends to the wildlife of the Fleurieu Peninsula in its natural setting. 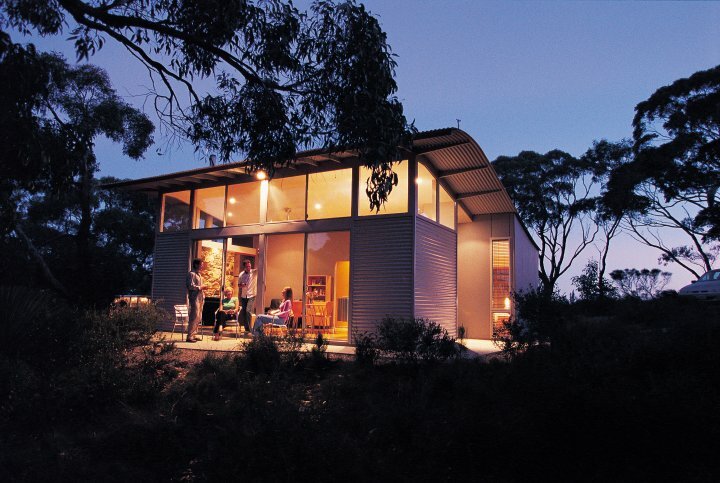 This uniquely Australian hide-away is loaded with charm and is sometimes affectionately described by guests as an adult cubby house. Its spacious lounge room with ironstone walls, local slate floors and tree trunk posts creates a wonderful space from which to observe nearby wildlife including a prolific population of kangaroos. The large panoramic windows provide lovely views of wooded pastures with the Pages Islands and the Southern Ocean as a backdrop. Yes, sit back and watch nature unfold before your eyes. 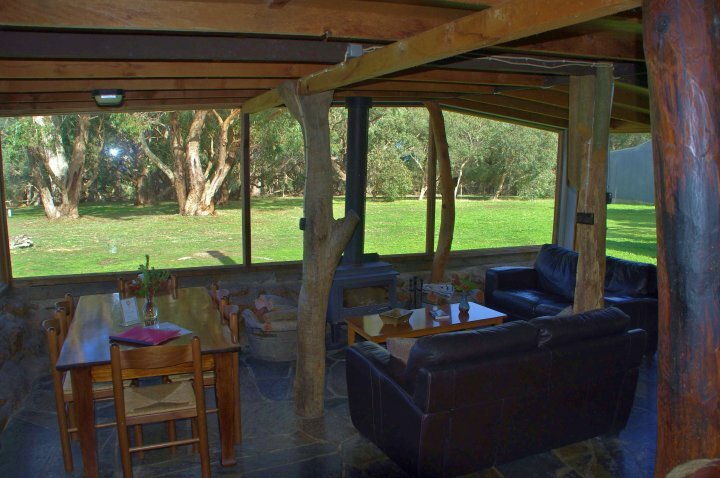 Although rustic Goondooloo Cottage is a comfortable place to stay for up to 6 guests. It has a self-contained open galley kitchen with beautiful rivergum benchtops as well as a modern bathroom, 1 double bedroom, 1 twin share singles bedroom, a second lounge with large day/night sofa bed and the main living area with slow combustion heater. There is also an undercover gas bbq area with seating. Goondooloo Cottage lies at the start of walks to Eagle Waterhole, the Aaron Creek circuit and the Aaron Creek Cove Trail. Enjoy a leisurely breakfast, grab a day pack and away you go, it's that simple. 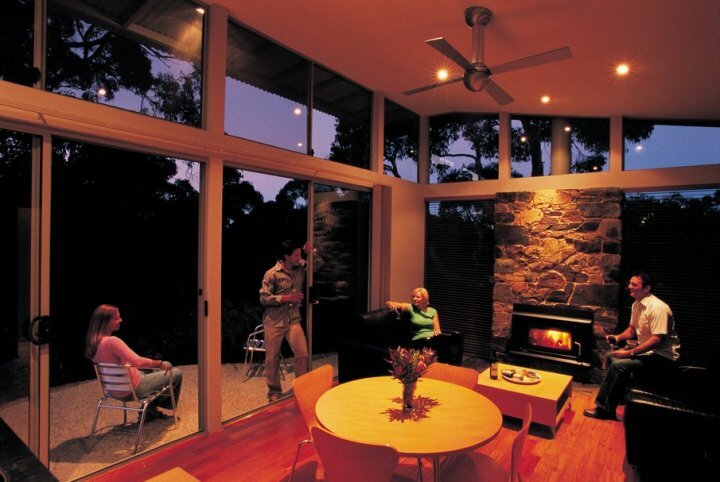 One of South Australia's most iconic holiday cottages awaits you upon your return. The Ridgetop Retreats continue to set the benchmark in design excellence for nature based holiday accommodation. 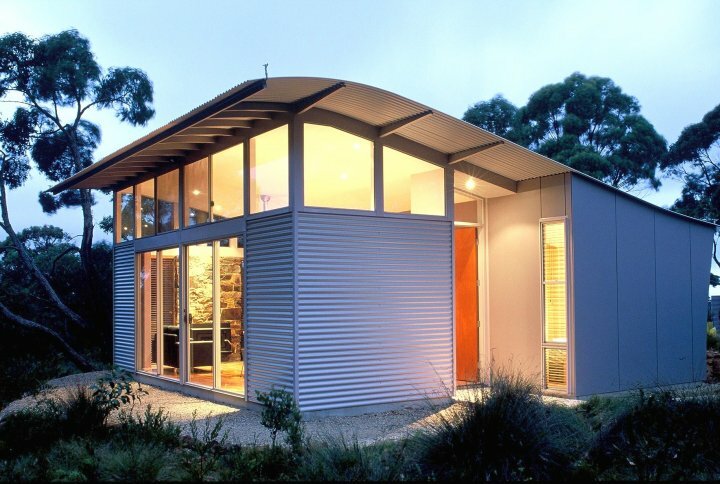 Designed by renowned architect Max Pritchard they take full advantage of their beautiful location in the Stringybark Forest in Deep Creek Conservation Park and successfully blend sustainability with a high standard of comfort. Parquetry floors, bespoke stainless steel kitchen, leather sofas and cedar venetians provide a rich texture for the senses. The floor to ceiling windows that are the hallmark of the Ridgetop Retreats create a strong sense of being connected to nature. The Retreats can accommodate up to 4 guests and are provided with all linen and continental breakfast. They are centrally in Deep Creek Conservation Park and a convenient starting point for the Forest Circuit Walk and Spring Wildflower Walk. From time to time our premises are used for workshops which is not surprising given the inspirational backdrop which is highly conducive to brainstorming without the usual technological distractions. However, for the majority of our guests a stay with us is an opportunity to breath in clean air, enjoy nature at its best, have a well deserved break from the digital world and relax in a beautiful environment. Check In for Goondooloo Cottage, Glenburn Cottage and the Ridgetop Retreats from 2pm onwards. Check In for the Deep Creek Homestead from 3pm onwards. Check out for the Deep Creek Homestead 12 noon. Depending on which cottage you have chosen the base fee covers either 2 or 4 guests. Additional fees apply for extra persons staying up to the maximum permissible number for that cottage. Children up to 16 years of age are charged at a reduced rate and children under 2 years of age may stay free of charge provided they sleep in a portacot. Each property offers ample off street car parking for guests. From Adelaide If you are driving from Adelaide take the Southern Express Way for the pleasant 90 minute journey that takes you past the famous McLaren Vale wine region before ascending to Sellicks Hill and the Victory Hotel, a good spot for lunch before leaving the distant metropolis behind. The journey continues through the townships of Myponga with its micro brewery, Yankalilla (the bakery is a popular stop), Normanville and Second Valley taking in lovely coastal scenery and rolling countryside along the way. From Victor Harbour or Victoria For those coming by road from the eastern states or who are following the famous Great Ocean Road there is now an extended route along the South Australian coast known as The Fleurieu Way. It passes through some of the most scenic parts of the Fleurieu Peninsula including Deep Creek en-route to Cape Jervis, Kangaroo Island and Adelaide. From Victor Harbor take Range Road past Waitpinga and the localities of Willow Creek and Parawa before turning off to Deep Creek Conservation Park. Where to begin. Deep Creek Conservation Park offers a host of activities depending on your interests, time and fitness levels. For lovers of nature there are a myriad of walks that range from an easy family stroll with young children through to a full day circuit walk taking in parts of the Heysen Trail (All are graded for ease of choice). These walks will introduce you to a diverse landscape ranging from dense forests through to open coastal heath during which you see the Park's abundant wildlife. For those unable to walk there are a number of look outs from which to take in the spectacular coastal scenery. Other popular activities include surfing, swimming, fishing, photography,mountain bike riding and general sightseeing taking in the many attractions near Deep Creek Conservation Park including Second Valley Beach (rated Top 10 in Australia), Ingalala Falls, Starfish Windfarm, Leonards Mill, Cape Jervis Ferry and more.